Click here for the latest school newsletter. This week is the 2017 European Week of Sport and Physical Activity and here in St. Joseph´s we have an exciting week planned culminating in National Fitness Day on Friday when some boys will be taking on the teachers in a sports challenge! St. Joseph´s was recently nominated for the #BeActive Education Award by the Irish Sports Council and narrowly missed representing Ireland at the European awards in conjunction with this week. We are delighted to have been nominated for the #BeActive Education Award by the Irish Sports Council. This is a European award to coincide with the European Week of Sport and National Fitness Day at the end of September. Click on the photo below to see some of the best photos from our Active Weeks and other activities over the last few years. Our teachers are also an active bunch and Ms. Byrne’s Sligo team will be battling for a place in Croke Park on All-Ireland final Day when they play Tyrone in the semi-final on Saturday Sept. 2nd. 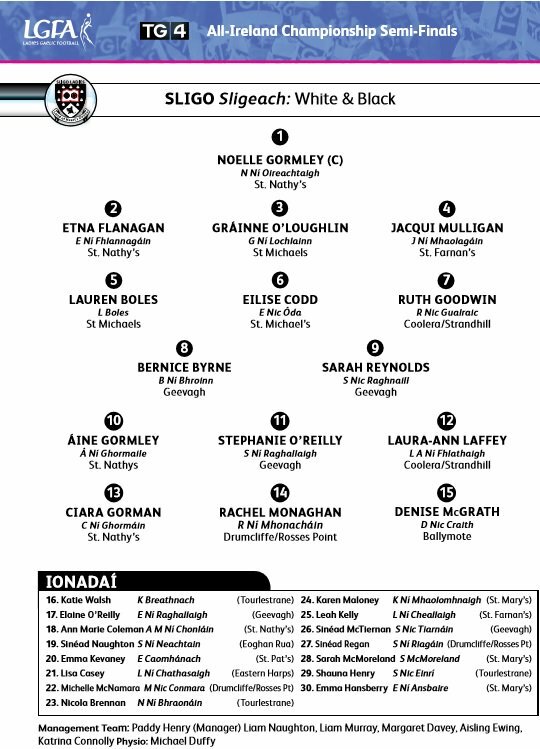 The match will be broadcast live on TG4 at 3pm. We wish her the best of luck. 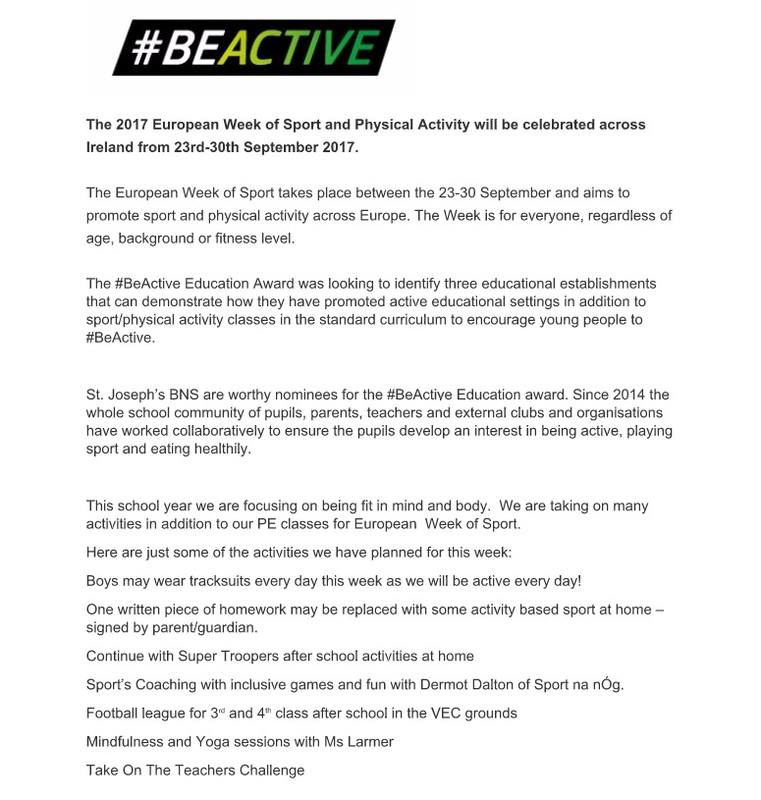 In July 2017, St Joseph’s applied for the #BeActive Education Award. efforts in St Joseph’s BNS.